The Un-Edison Soft Daylight Household Bulb perfectly replaces old standard light bulbs, yet is packed with efficiency! It produces the highest lumen output per dollar, sipping only 7 watts of energy. 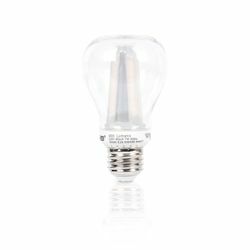 With its 800 lumen brightness, it will easily and effectively replace standard incandescent household bulbs.